As recently announced, Kokoromi is partnering with Think Services' Game Developers Conference to bring the fourth edition of its renowned Gamma game showcase to GDC 2010 next March. Comparable to a longer-form, targeted version of the 'indie game jam' concept, previous yearsâ€™ themes have included Gamma 01: Audio Feed (games driven by live audio), gamma 256 (games with extremely small pixel dimensions), and GAMMA 3D (games using red-blue stereoscopic 3D). Standout games like Passage, Paper Moon, and Super HYPERCUBE resulted. This time around, the Gamma organizers have framed the competition as follows: "Gestural controls, multi-touch surfaces, musical instruments, voice recognitionâ€”even brain control. Games are moving beyond the iconic hand-held controller, and into the future. But is the secret to good games found in high-tech interface hardware? Kokoromi proposes that game developers can still find beauty in absolute simplicity." Taking place on the evening of Wednesday March 10th, 2010, the Gamma 4 kickoff event bridges the end of the Independent Games Summit and the start of the main GDC. The playable games will be revealed at the Mezzanine, a venue housed in a historic two-story warehouse near Mint Plaza, in the heart of San Franciscoâ€™s SoMa district. The curated games will be featured on large projections, and accompanied by live DJs. Following the opening event, all the games will be playable for all in a dedicated booth on the Game Developers Conference Expo floor from Thursday, March 11th to Saturday, March 13th. In addition, game creators who are selected for presentation at Gamma 4 will also be awarded GDC 2010 All-Access passes. Game makers around the world now have from December 1st 2009 until January 31st 2010 at midnight Pacific time to complete and submit their single-input creations. 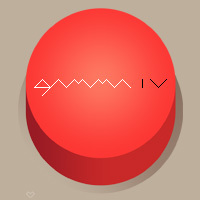 Full submission rules and guidelines are available at the official Gamma 4 web page.